Out of UK developer Four Horses comes Miles & Kilo for the Nintendo Switch. 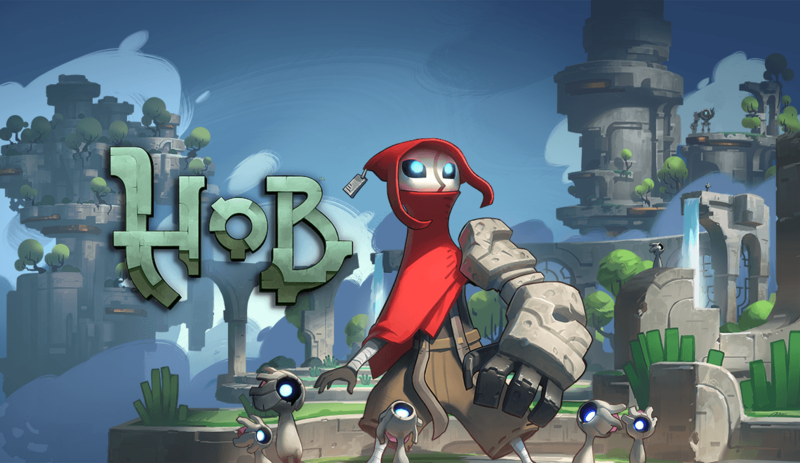 It’s reminiscent of the oldest-school NES platformers in style and gameplay, but with some very welcome modern touches. Mostly, it’s just a lot of fun. Miles and Kilo are flying their plane in the rain and get caught in the storm. After an improvised landing on a sunny island, Miles and his dog, Kilo, get their bearings and try to get back in the air. But before they can get their plane to fly, they need to find all the parts first. They set off on a journey across five islands to track down the missing pieces and get home. 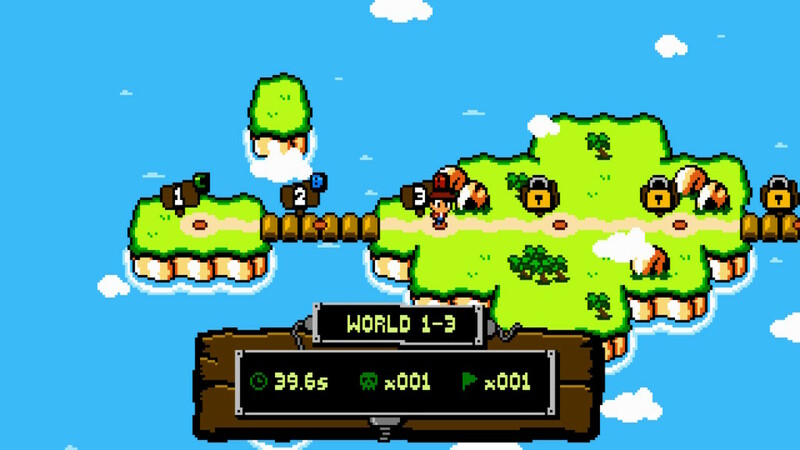 The majority of Miles & Kilo plays out like Super Mario Bros 3 with a little bit of Super Mario Bros 2 tossed in. Not much, just the good parts. 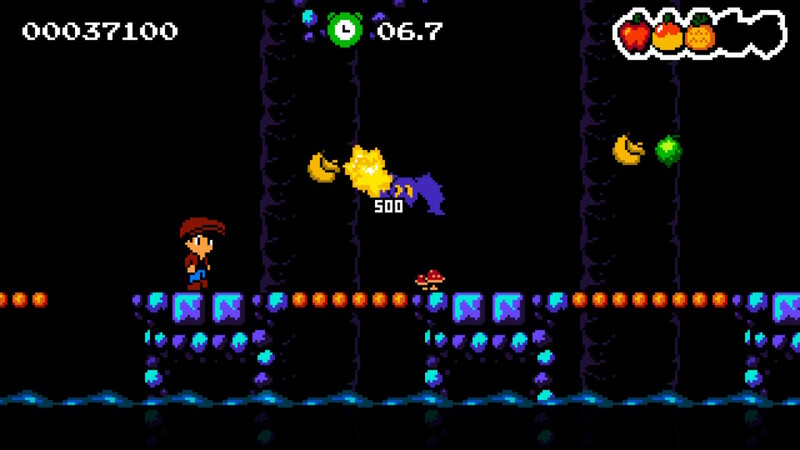 The platforming (and graphics) are extremely similar to the former, even though the levels are a little shorter. You run, jump… and that’s platforming. Running and jumping. It plays smooth for the most part, although there is a small slide whenever you stop running that always messed me up. Jumping on the island’s creatures that attack you will kill them, but running into them from the side kills you. Sometimes I felt like I was on top of an enemy but the game decided the enemy got me, which was kind of frustrating. When you die you restart from the beginning of the level, which sounds bad at first, but the game goes fast enough and the levels are short enough that replaying one isn’t all that daunting. M&K also borrows a little bit of the throwing mechanic from SMB2, although it’s not exactly the same. 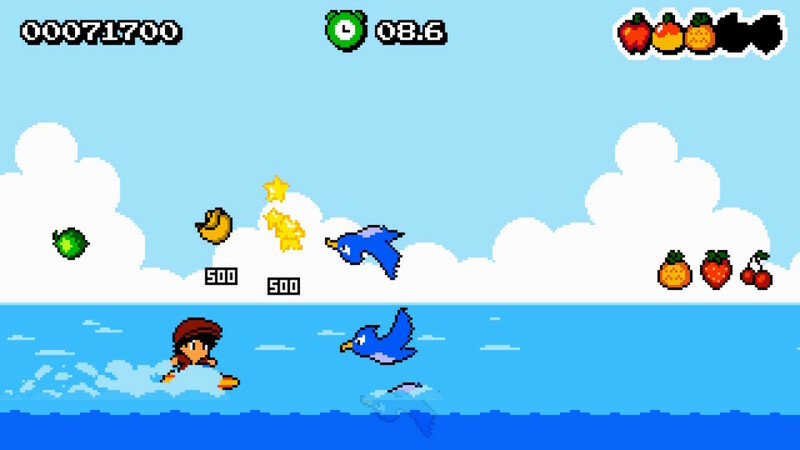 Miles collects fruit throughout the level (not veggies), and he can hold up to five pieces instead of just one like SMB2. He can chuck it at enemies, which kills them from afar. This often negated the trouble I had telling if I was jumping on an enemy or if they were killing me, which was nice. As long as you don’t often miss, you almost never run out of fruit, which is cool. One of the more unique aspects of the game is Kilo, the dog. Most levels have you playing as Miles, throwing fruit and jumping around. But a few levels per island have Miles getting dragged across the level as he holds on to Kilo’s leash for dear life. When you’re playing with Kilo, he pulls you forward so it’s essential to have great timing in those levels since you can’t stop to judge a jump. You also can’t throw anything, but your fruit attack is replaced by Kilo’s jump attack. The jump attack doesn’t run out of ammo, though, so it’s a lateral move, mostly. Throughout levels Miles collects coins which add to the point total. 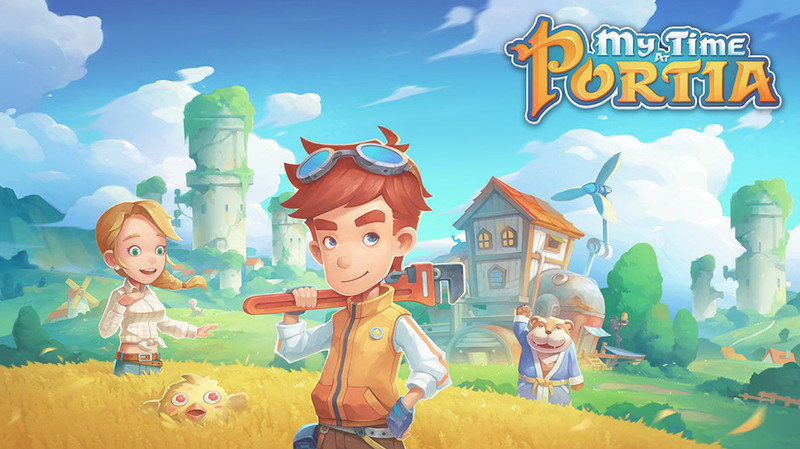 Collecting fruit and defeating enemies also accumulates points, as does completing a level. 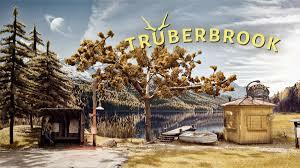 At the end of each level, you get graded on how many enemies you defeated, how much time it took to finish, how much fruit you’re carrying, and how many times you died. The grades and points don’t really seem to do anything, but a lifetime of video games have programmed me to enjoy seeing numbers get bigger and getting an S rank, so that’s all the reward I need. There are also achievements you can unlock by meeting certain requirements. Again, they do nothing, but it feels good when a game tells me I unlocked an achievement, so I count it as a bonus. I said before that M&K reminds me a lot of the Mario games for the NES, and while the gameplay is pretty similar, it’s not just that. The game’s entire aesthetic is classic Mario flavored, from the graphics to the music. The game’s visual style is a colorful, flawless recreation of the 8-bit era of gaming. The game sprites are fairly detailed, with the two protagonists’ character models being the most animated. Kilo in particular manages to squeeze a load of personality out of a limited set of sprites. 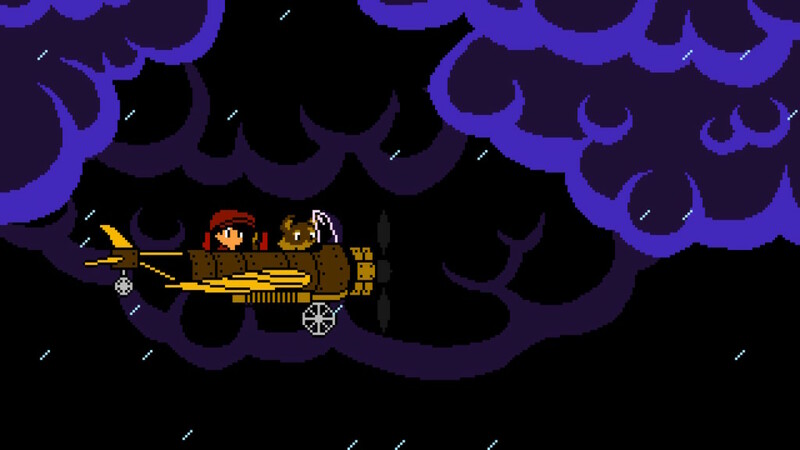 The music is bouncy and adventurous, and, again, would sound right at home on an NES. 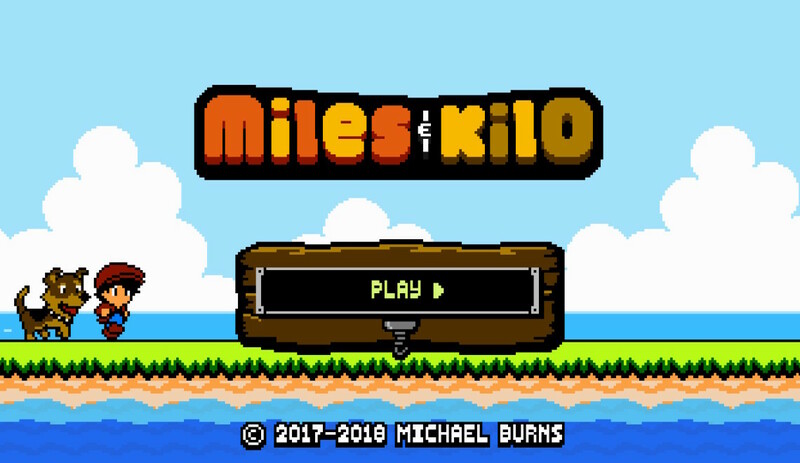 I grew up fighting with my brother over our NES, so it felt good to be transported back to those days as I trekked through the world of Miles & Kilo, so maybe the extra little nostalgia bomb is coloring my reaction a little, but it’s just a charming, fun game. 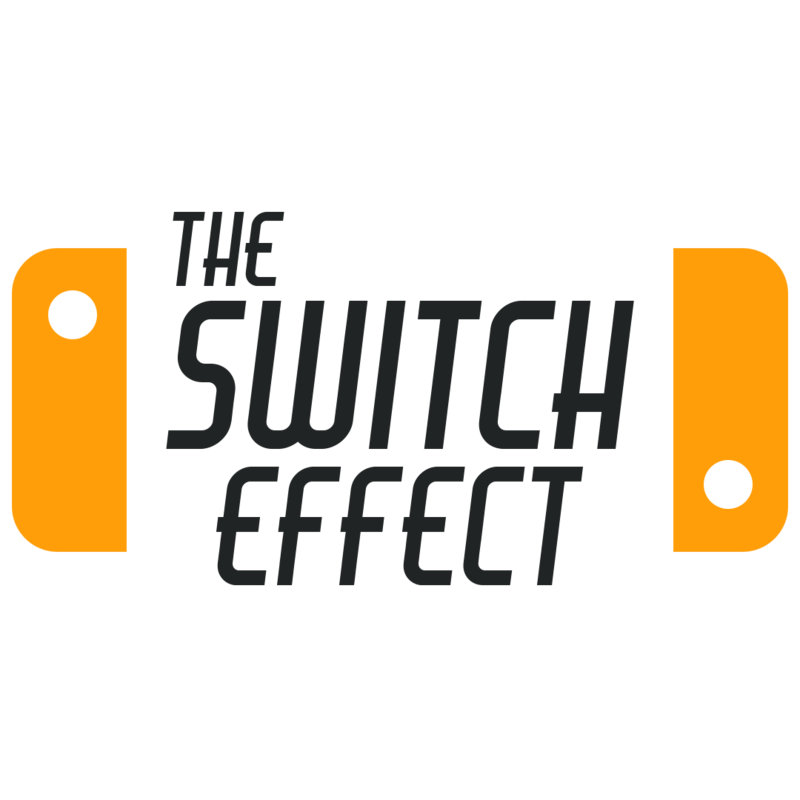 Miles & Kilo doesn’t use the Switch’s touch or motion controls, so it can be played either docked or undocked with minimal difference. I honestly couldn’t tell you which mode I prefer; I think it looks and plays just as good on my TV as it does on the Switch’s screen. I guess I prefer playing on my Pro controller, so if you absolutely need a tiebreaker, go with that. TL;DR: A perfect time capsule to the NES era. Bring all your nostalgia.